Is my smartphone hacked - what can I do to protect? Your smartphone is the weakest link so if we have not been taking good care of it and looking out for signs of red flag that the it is misbehaving and acting strangely, then we are setting ourselves for trouble. Read on for tips to self defence and keep a clean hygiene footprint. 1a. Facial spoofing attacks can easily launched via printed photos, video replays and 3D masks of a face. There is a detailed paper written on this. That is why it is critical to implement strong liveness detection measures for facial authentication that recognize when a facial image is not a live. 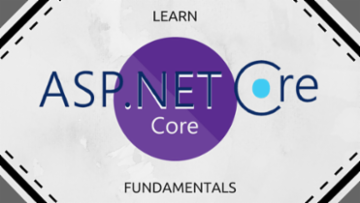 To share a bit more, spoof detection can be classified as either “active”, requiring interaction with the subject, or “passive” analysis requiring no interaction. 1b. Fingerprint spoofing attack can easily be fooled by fake fingerprints digitally composed of many common features found in human prints. Likewise another paper shares the details. What I think is concerning is the capture in the past has also been attempted on gummy fingers that is fake Fingers. Liveness test is still the added assurance check needed to have a robust check in the mobile device. The challenge for a/m is not on the detection technology but how to more towards a more accurate match rate an d at the same time not in the expense of making the device bulky or more draining to the limited battery level. 2. Actually remote wipe is more of a mitigation as ultimately, if the data remain encrypted and the device has lock enabled, access is restricted and even data siphoned off the shutdown or locked device will not necessary have the plain data revealed. So with encryption and locked setting, the mitigation suffice as baseline. Thanks for clarifying btan. Highly useful information! What happened when I tried to make my phone, a Samsung Galaxy S8, stop dropping all WiFi signals was a saga I won't repeat here, but what you might want to know is how it started and how I got it working again. 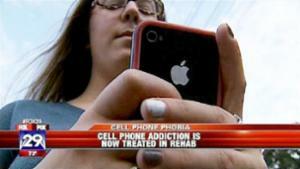 This article summarizes the problem of addictive cell phone usage that college students across the country are facing. It covers the issues with obsessive cell phone addiction, reasons why this is happening, and what we can do to solve this problem. The 21st century solution to antiquated pagers. 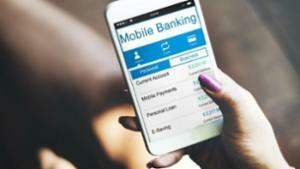 By this time the large percentage of day-to-day transactions have shifted to mobile banking; here are some overriding areas QAs must investigate while testing mobile banking apps. For Sennheiser, comfort, quality and security are high priority areas. This paper addresses the security of Bluetooth technology and the supplementary security that Sennheiser’s Contact Center and Office (CC&O) headsets provide. 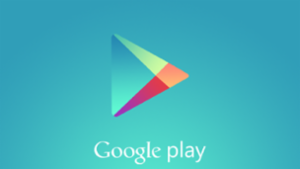 If your app took Google’s lash recently, here are the 5 most likely reasons. Let Bitmoji into your life. 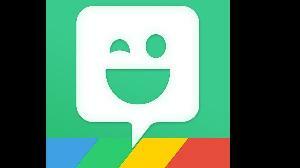 Now is the time to learn a new language of smartphone messaging with this brief introduction. The case of the missing phone talks about the way a small electronic gadget (the mobile phone) has penetrated into our lives and has made us addicted to it. 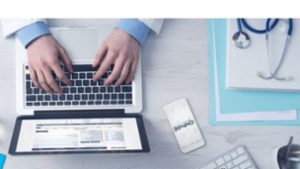 With mobile becoming increasingly important to the business world, it is in your best interest to make sure that your email signature looks great across all types of devices. 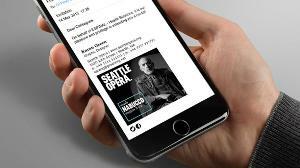 Find out how to create a mobile email signature with this guide. Another good reason to include your email address in your signature is that some email clients will, depending on the original recipient's "Display contact as:" settings, strip your address from the original "From:" line when your email is forwarded, leaving only your name. Your signature thus may be the only place where the forwardee can find your email address. AceDeceiver iOS malware. Insidiously clever. 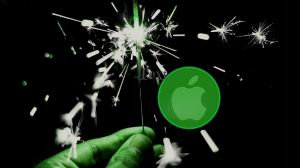 A brand new malware strain was recently discovered by security researchers at Palo Alto Networks dubbed “AceDeceiver.” This new strain of iOS malware can successfully infect non-jailbroken devices and jailbroken devices alike. A short article about a problem I had getting the GPS LocationListener working. Hmmm... I have Marshmallow on my S5 and the Now launcher isn't standard (which I take to mean is included by default). Here's what my home screen looks like. I didn't have much trouble going to the Now launcher and recommend it. I like it better. I now have a Note 5, so it doesn't matter anymore. Working settings for French ISP Orange "Prêt à Surfer" SIM cards for data connections only. Can't be found anywhere else ! This article is a continuation of Part-1 as evident from the title. Please visit this page to read the earlier Part -1. If you are already coming after viewing Part-1, please read on. If you are a regular user of “Chrome” and you have setup your Google account on your device, all your bookmarks are automatically synchronized across all devices that have signed in to the same account in Google Chrome. 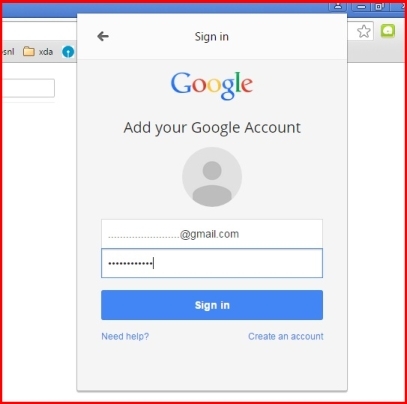 The sign-in process is different if you are using Google Chrome on Windows. You need to explicitly sign in to the Chrome Browser to sync your bookmarks, history and other stuff. 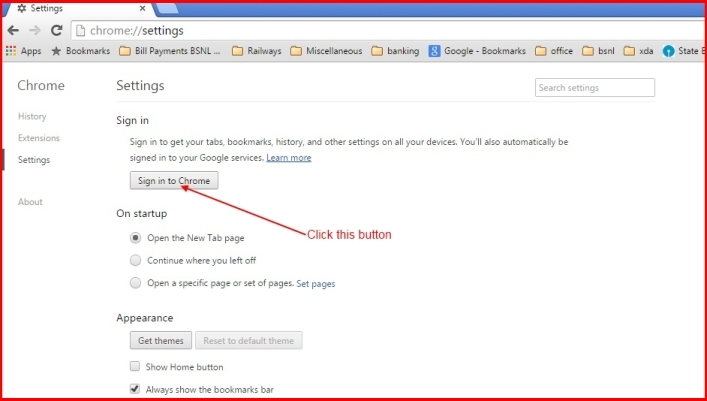 In Google Chrome, Click Menu / Settings. See image. 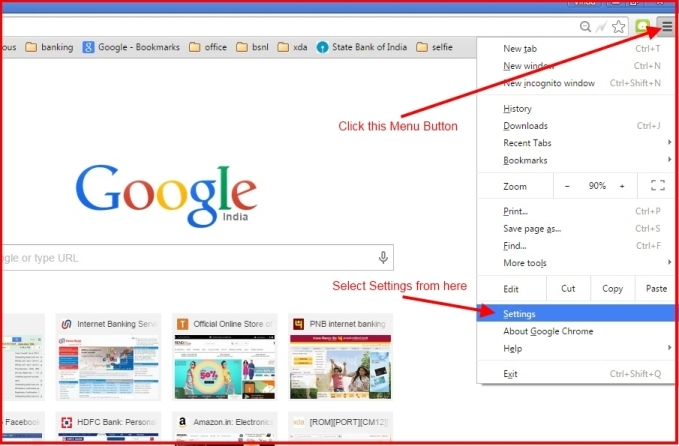 Click sign in to Chrome in the resulting Menu. Enter your Credentials in the resulting Dialog box to Sign in to Chrome. 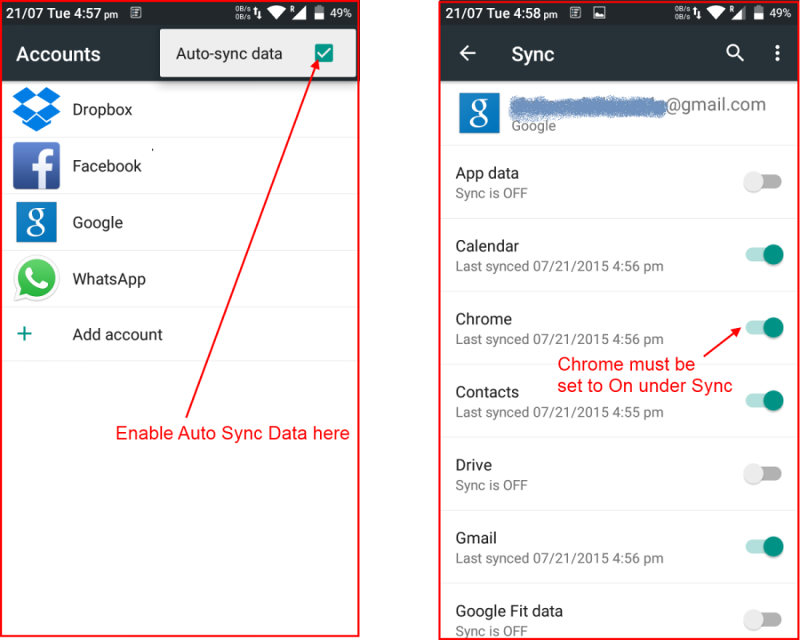 explicitly enabled under Sync settings of your Google Account. See Image. Use the Ctrl+Shift+O shortcut in Google Chrome on your Windows PC to open the Bookmarks manager. You should find your bookmarks under the folder “Mobile Bookmarks”. See image. 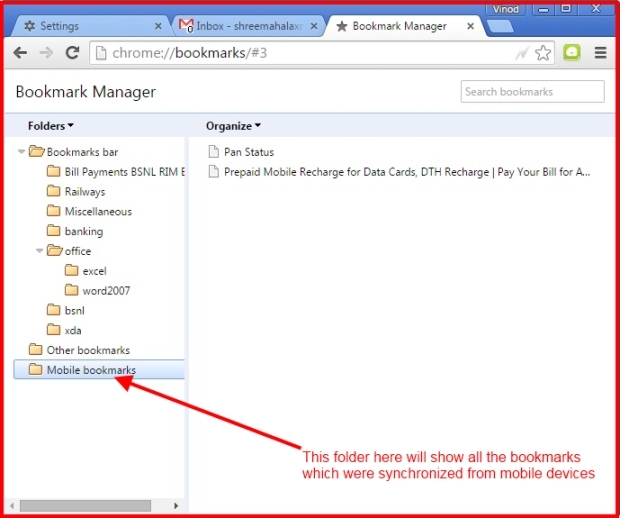 All bookmarks created in the Chrome app in your android app will be synchronized automatically. See image. 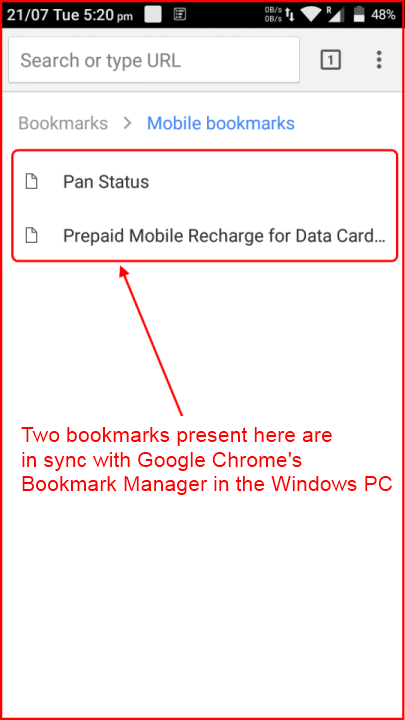 If you use the above method to sync your bookmarks, they will be imported in the Chrome app when you setup your Google account in your android device. 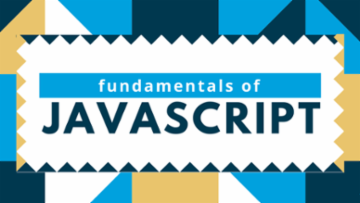 Nice job with the two-part series, both with the easy-to-read content and the supporting images. Voting Yes. Everyone is using a smartphone these days. Contacts, messages, applications, documents, bookmarks, pictures, videos and other stuff which you created and are present only on your device come under the umbrella called “Personal Data”. You got a new phone and want to transfer all your data to the new phone. Your old phone is broken and you need to give it to the authorised Company’s Service Centre to fix it. The repair shop will never take responsibility for loss of personal data. 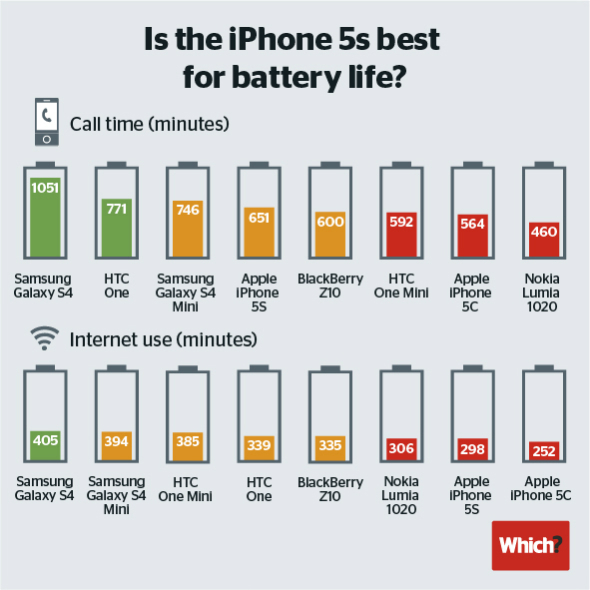 Your phone has started to act sluggish and a factory reset could be one of the reasons to get it speedy again. For safekeeping, just in case you lose your phone. 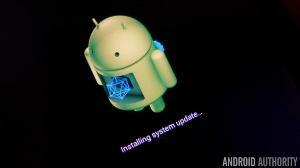 You are flashing a custom Rom and you need a backup of your personal data to restore it to your new Rom. 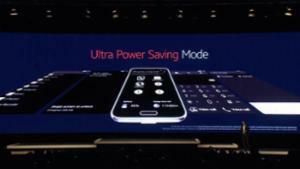 However, users installing custom Roms may not find this guide that helpful as they may already be familiar with other powerful methods of backing up which are outside the scope of this article. Why carry more than one Device? Let me explain this picture a little bit. First, in case you haven't already guessed, you are looking at my 2 phones, an Android Samsung Galaxy S5 on the left and an iPhone 5 on the right. 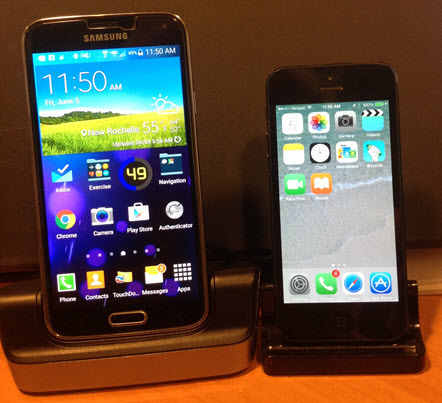 They are on their respective cradles on my desk. But, you may ask, why in the world do you have 2 phones - for 2 heads? No, but not far off. I wonder what kind of Applications Iphone User's have/Use especially in work ? are they the same as Android ? I wondered the same. My boss has an iPhone and needs to be able to get files of of our one they are on. The only real option is the cloud. He uses an FTP app as well, and with enough configuration you can use what amounts to a files app. As an IT professional, I have found one of the best apps for iOS is on the iPad only, called CI (computer inventory) from imobile3, it does almost everything I need from an inventory app. 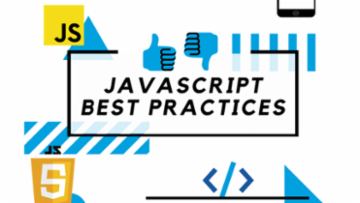 There are others which do a better job of either querying the computers or storing the info (see my article on it here : http://www.experts-exchange.com/articles/18542/Finding-a-Computer-Inventory-Application-for-Use-with-Mobile-Devices.html). If you are anything like me, you install many apps on your phone and have your life on it, sometimes literally. 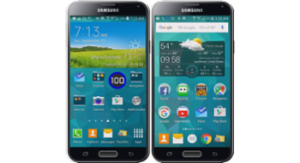 When I bought my current phone, a Samsung Galaxy S5 from Verizon, they were only selling the versions with 16 GB internal. I didn't realize this at the time, or I might have bought a different phone. Anyway, I now had a phone with only 16 GB of internal memory, which translated to about 10.5 GB usable. It helped to have a 64gb card, but I have been constantly trying to find space. I am unused to getting the messages I currently get about not having enough space to install an app I want to try. At work, the most common complaint we get from iPhone users about email, is that it isn't downloading their mail anymore. This is an easy fix, because we know what the problem is, these are the users that have set their phones to download ALL emails. The fix is simply deleting their email account and redoing it but changing that setting to a couple of months instead. I mention this because that is what I ended up doing on my phone. I had been looking in every crevice of the phone to try to get more space. I finally decided to delete my email account (which I had set to retain all emails), and redo it with the setting to download the last 6 months instead of ALL. I gained almost 500mb of space. 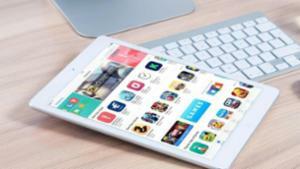 Are you looking to clear some space on your phone for the latest iOS 8 update? Did you switch to Spotify so you no longer need to keep music native on your phone? Run out of space for taking photos while in the middle of vacation? Sometimes the quickest, easiest thing you can do is remove those old songs on your phone that don’t stand up over the years – it’s ok, we all have them. 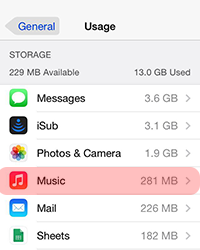 Let’s review how to delete a song, an album, or all the music from your iPhone. 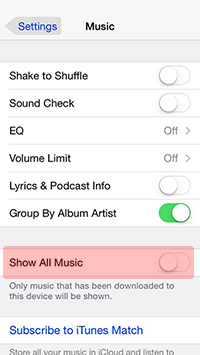 Before we start removing music from the iPhone, we have to make sure iTunes Match is disabled. If it isn’t, our phone won’t let us delete music directly from our iPhone (we would have to do so through iTunes on our computer – thanks Apple). Settings > Music > “Show All Music” slider should be set to “Off”. This will hide all music that is not downloaded on your device, this will NOT affect music that you loaded onto your iPhone from your computer. If you want a fresh start to your music collection, you can do it all at once, rather than taking the time to delete one album or song at a time. Great write up! Since a delete option wasn't readily available in the UI, I wasn't even aware this could be done. Cell phones contain everything nowadays; our whole lives in one single device. With important data, contacts, photos, emails, credit card information and much more, our phones can be convenient yet detrimental if ever lost or stolen. Use these steps to prevent loss or to easily track and find your lost or stolen device. Find My iPhone is the perfect app to use on your desktop or on your phone when trying to find any Apple device. It allows you to find, lock or erase data from your iPhone. To set up your phone so that you can easily track and find it if you were to ever lose it, follow these steps. To set up Find My iPhone, make sure your phone’s GPS location is on. 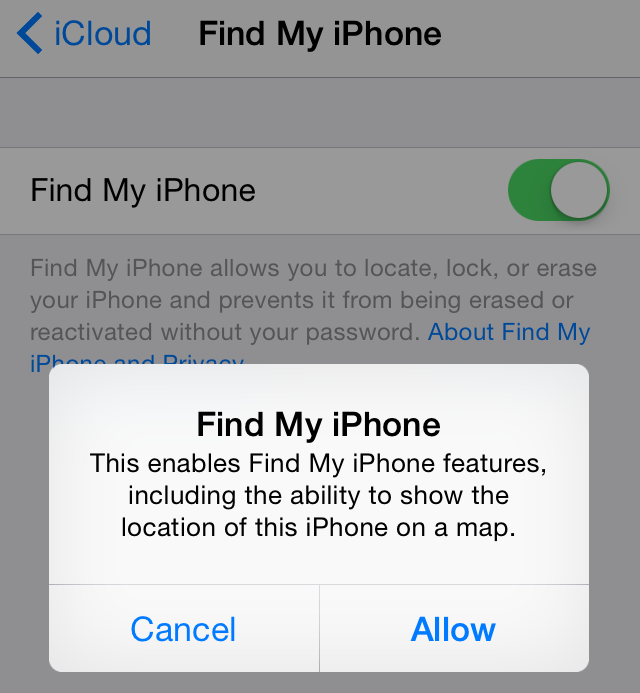 This will help in finding your device if it was ever to get lost or stolen. ​​Tap the toggle to turn on your GPS tracking for the app. This will allow you to track your device. Now if you ever lose your cell phone you can use a desktop computer or any other device to find the location of your phone. As long as your location services is turned on, you should be able to see the location of your phone. Nice article. I have to say that the built in ways to do this tend to work very well and I assume that is why you were looking at them. Although I don't endorse any 3rd party apps, I have had the trustgo security app on my android for too many years and it has found my phone and saved me several times, even one time in the dead of night when the ringer had been turned off, trustgo located it to within 5 feet and then I set the alarm off and found it on the ground a couple of feet from where I was standing. The kicker was it was almost pitch black at the time. Mobile Security for Android phones. With the proliferation of Android devices on the market today, it was inevitable that malicious types would want to start exploiting the openness of the platform. Luckily however, there are a few options when it comes to mobile security. Antivirus will scan your memory, texts and applications for viruses and malware. It can be set up on a schedule be it weekly, daily or monthly. All basic Mobile security applications will have this in both free and paid (where applicable) versions. Some apps will also provide antivirus as a 'real-time' protection for free, others require the premium version for this function. Avast! Mobile Security, AVG Antivirus Free, Lookout Mobile Security, Norton Security and Antivirus, AVG Anti-virus Pro, Kaspersky Mobile Security 9, Lookout Premium, McAfee Mobile Security. 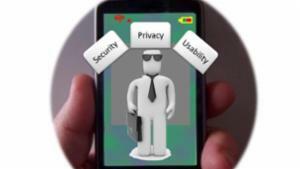 Relatively few security apps are providing a firewall for mobile devices. Avast! is notable in that it allows you to enable a firewall based on either a 'deny all' model or an 'allow all' model. 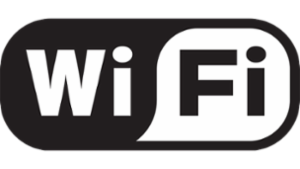 You can then choose which applications to either allow or deny access to data or WiFi networks. It can also allow or deny based on connection type. For example, you could allow access for dropbox on WiFi but deny it on mobile data to limit mobile data downloads. Avast!, Droidwall, Root Firewall Free. Great article, thanks for the overview. I have clicked "Yes," this article WAS helpful! I am finally (FINALLY!) about to make the plunge in to the smart phone world and was curious about what kind of protection I would need. AVAST has been a great product for a long time and I was glad to see your recommendation. Thank you for the work on this Article. "Yes" vote above. As you may know from my boasting, "Finally ... I have a DROID ! 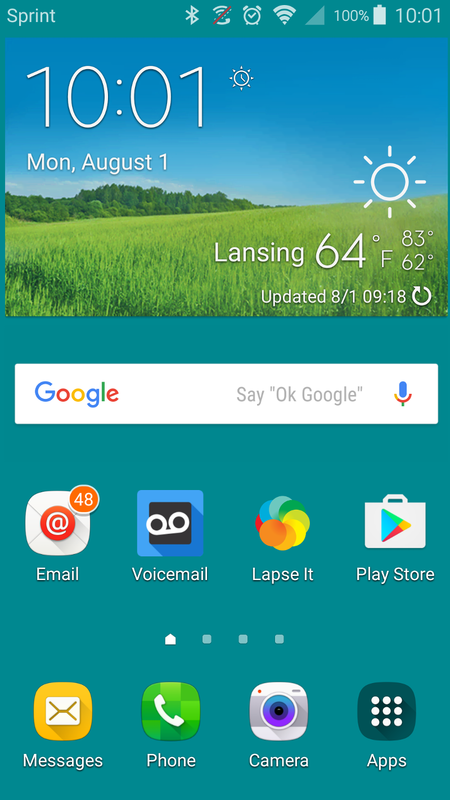 ", I now have an Android 2.2 device and specifically a Verizon Wireless Droid 2 for which I am hoping to provide an early review within this article. This is my humble opinion only. I am not affiliated, other than being a customer, with Verizon. 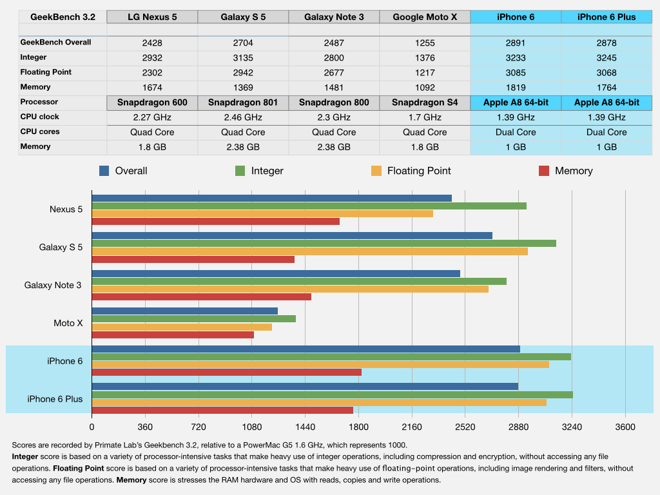 Consequently, this is not meant to be a comparative article between devices that other providers offer or even those also available at Verizon for that matter. This article is simply my thoughts and preliminary observations of my new business and personal device. The quest for device begins...Shortly after starting with my current employer in 2005, we purchased Palm Treo 700w devices sporting a QWERTY keyboard and Microsoft's Windows Mobile operating system, so I was very spoiled with the ability to type very quickly with one or two hands (thumbs??) on my phone while doing "geekish" server administrator type things like using a terminal session from my phone at the Atlanta airport when I got stuck there coming back from a visit. In addition to this, using programs like Joikuspot, the Wi-Fi hotspot or tethering was a great business asset of my phone. Thanks for reading and voting by the way! Doing my due diligence before getting a smart phone and really appreciate all of the detail you provided here. I've read Todd's EE Article also and will check out Michael's next. Unfortunately, I am no closer to making a decision than when I started. Maybe I'll just go down to the local giant computer store and pick the one with the nicest color (only semi-joking).